This topic contains 0 replies, has 1 voice, and was last updated by pcwrt 3 years, 11 months ago. 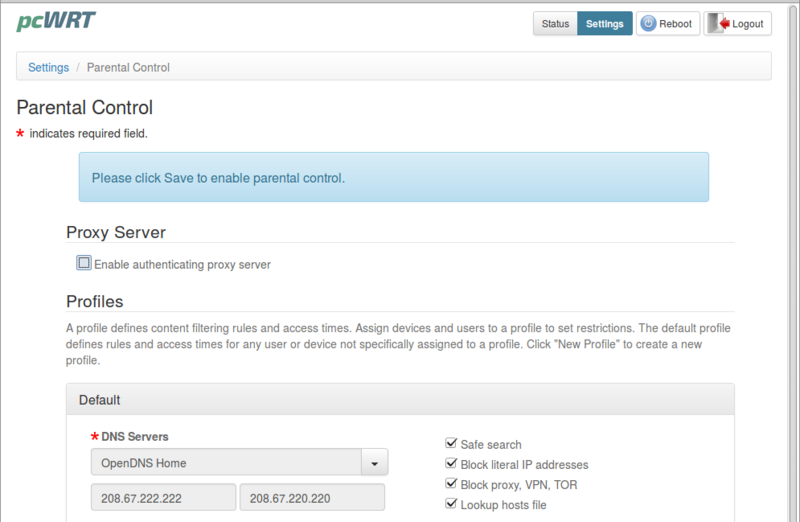 Select OpenDNS Family Shield or OpenDNS Home from the DNS Servers dropdown. Web contents filtered through OpenDNS. Proxies, VPN and TOR bypassing blocked. All devices in your wifi network follow the same policy. Once you are familiar with the minimum configuration, you can create additional profiles for more more flexible controls. This topic was modified 3 years, 11 months ago by pcwrt.